Nissan pathfinder will amaze you. The truck rides very heavier. A lot heavier then it actually is. It is powerful. It can quickly accelerate to make a lane change or entering a highway. It is good on gas not great but the all the time four wheel drive makes up for that. When it is either running or in snow having that four wheel drive will keep you moving. Great ground clearances great interior space. Leather is beautifully stitched and seats are very comfortable. Huge storage area in the trunk when you put down the third row. The third row is another bonus when you have small children or just you want to take a bunch of people. Head room is high. Bose sound system really sounds amazing. Car is very nice to look at. 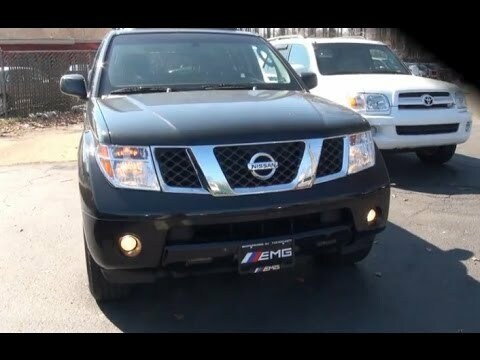 The Nissan Pathfinder is a great vehicle it's dependable and a smooth ride . I love my pathfinder . I find the performance to be incredibly good. I haven't had any problems with it and I bought it with over 100,000 miles on it. The driver's seat is very comfortable you can even adjust the height of the pedals. It has three rows of seats that easily fold down. Another feature some can appreciate is it has I believe 5 outlets to plug a car charger into. Just really love this car. It handles like a charm and when we had some flooding last week it breezed right through some of the smaller creeks that run over our roads out here in the hill country. This vehicle is noted for having transmission issues! I purchased this vehicle used shortly over two years ago. Thirty days after I purchased it the transmission went out. Apparently this vehicle is noted for having transmission problems. I had the transmission professionally rebuilt and the part they got from Nissan was defective and it had to be taken apart again and fixed! Beware of the Nissan pathfinder and transmission!